State Bank has issued the Branch codes and Ids for Fresh currency Notes. 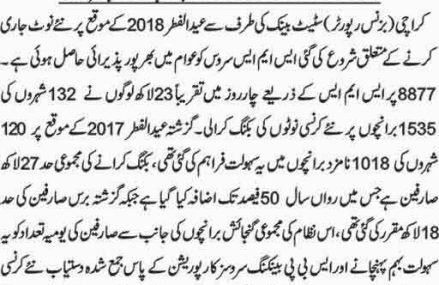 The scheme is being launched on first day of the month of June 2018. 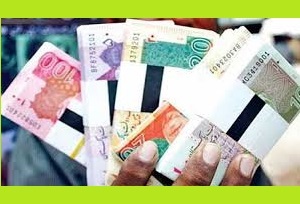 Follwing Banks has been designated to give the fresh currency note before the Eid ul Fitr 1439 AH. Now the month of fasting is going on. Muslims all over world and Pakistan are observing fasting from Dawn to Sun set. . The E-branches List of Karachi city is given bellow. For Other cities. These Commercial banks of the Pakistan. Timing for Ramazan ul Mubarak will be observed strictly. SMS Code 8877 , Send You CNIC # on it..
Write Your City Name and Bank , We Will Give you Bank Id/Code Online. List of Bank Be-branches in Karachi city are listed bellow. 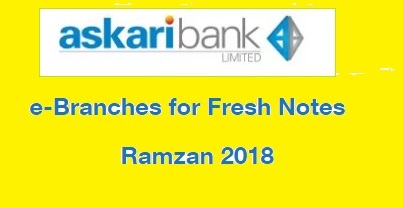 Bank Branch Codes in Khanewal District fro Fresh Currency Notes 2018,. Bank Branches in Multan district..